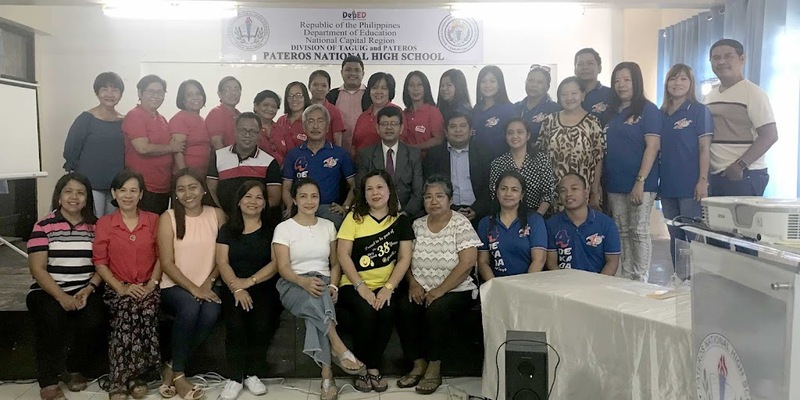 In its mission to continually reach out to the institutions in its member countries through the promotion of initiatives for human resources capacity development, the Colombo Plan Staff College (CPSC) conducted a community training on developing action researches at Pateros National High School (PNHS) on May 23, 2018. 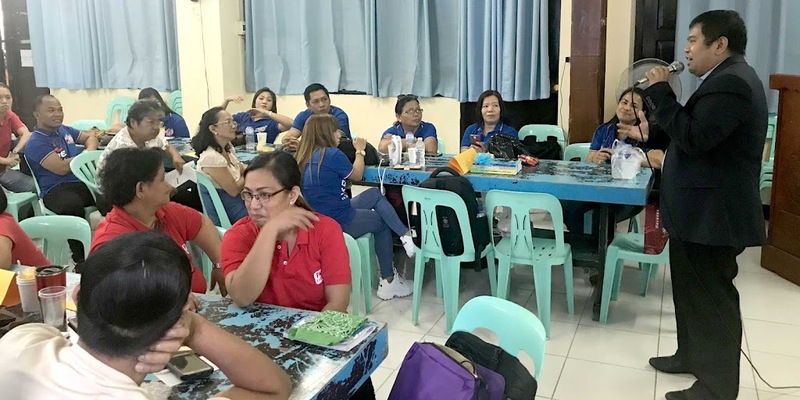 Mr. Rae Emmanuel Echaveria, the Acting Research, Publications and Information Officer (RPID) delivered the training on behalf of CPSC which involved the participation of 31 teachers from the Math, Science and English departments. The team composed of Dr. Ramhari Lamichhane, CPSC Director General; Ms. Arlene Cruz, Training Officer and Alumna of PNHS, Mr. Bryan Lazaro, Executive Secretary and Mr. Echaveria were warmly welcomed by the PNHS faculty through their officer-in-charge, Mr. Herman A. Casal. He represented the school principal, Mrs. Cecilia G. Maramag, who was currently not in the venue for an official duty outside the school. In his opening speech, Dr. Lamichhane hailed this event as another milestone for CPSC in the demonstration of its commitment to aid as many institutions on the need for the professional development of their staff. He also expressed his plan to introduce similar trainings in other localities not only in the National Capital Region (NCR) but to the entire Philippines as well. The lecture focused on topics such as evaluating a good researchable topic, doing literature reviews and the prescribed format for developing action research proposals. They were also asked to develop a sample version of the Chapter 1 which included the Background of the Study, Research Problem and Questions, Theoretical and Conceptual Framework, Significance of the Study, Definition of Terms and Scope and Limitations. These outputs were presented by the groups to each other for further scrutiny and improvement.